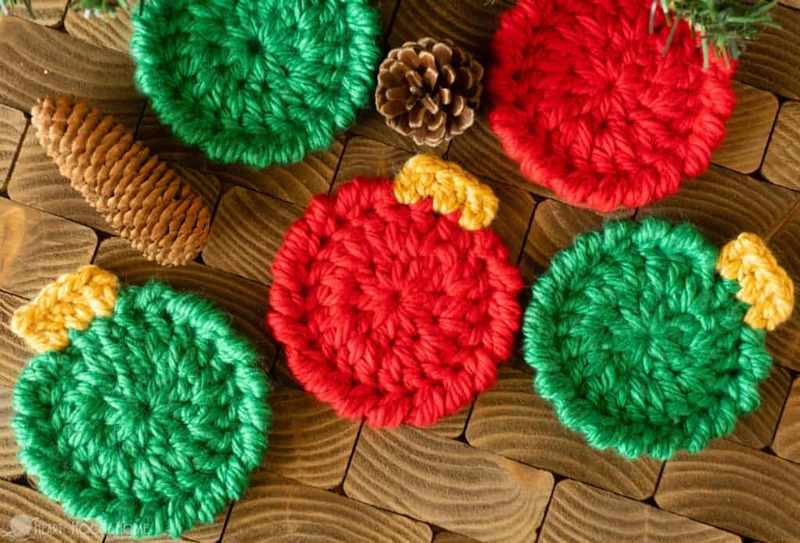 It is November which, in my book, means that we can officially start talking Christmas crochet projects. Do you decorate for Christmas? We do some, but not over the top. According to some of my friends you can start decorating in September! 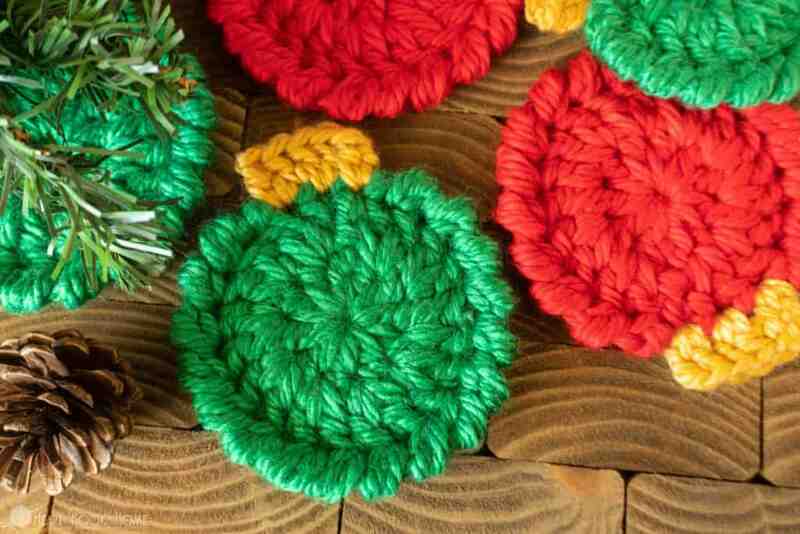 However you decorate, and whenever, let’s spruce up the dining room table with these fast Christmas Ornament Coasters! 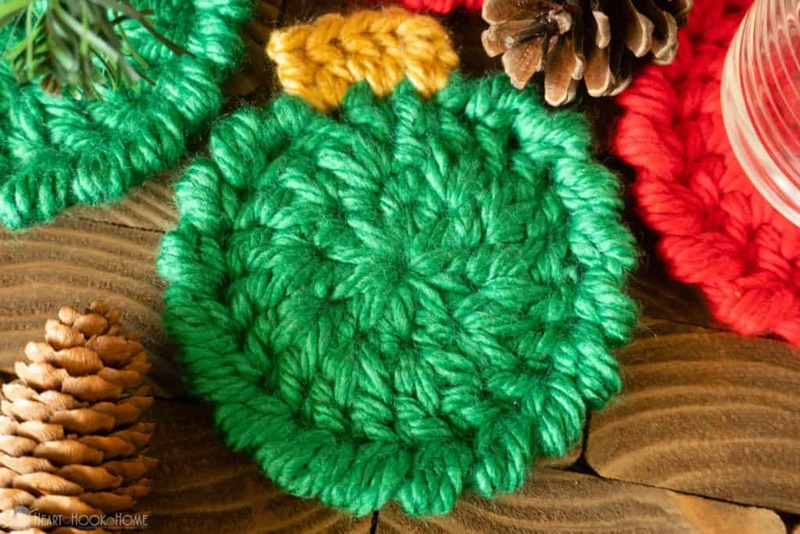 These Christmas coasters are super fast and remarkably easy. 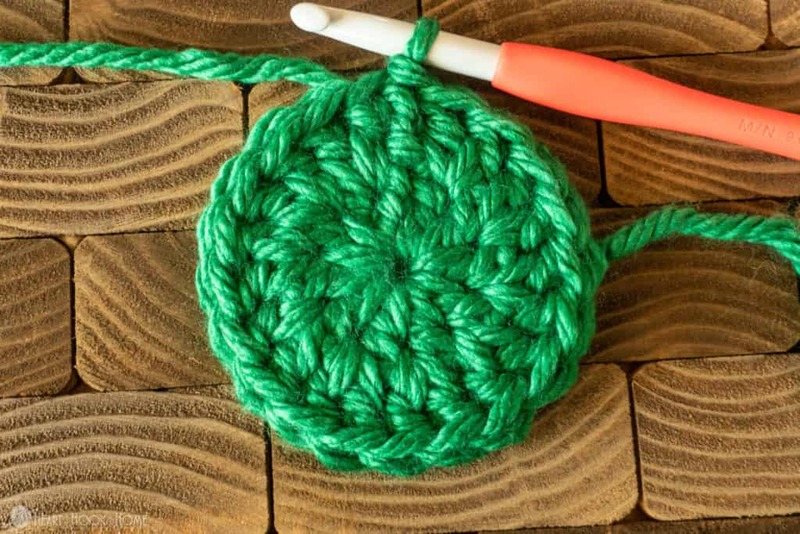 If you are new to crochet, this is an excellent opportunity to learn a few different techniques that will really take you to a whole new level! Use the Magic Circle to start. 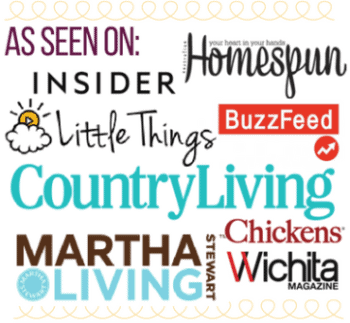 If you don’t know how, this is a great chance to learn! Here’s a Magic Circle tutorial. We use the Crab Stitch in the last row. If you are just learning, here’s a great Crab Stitch tutorial. 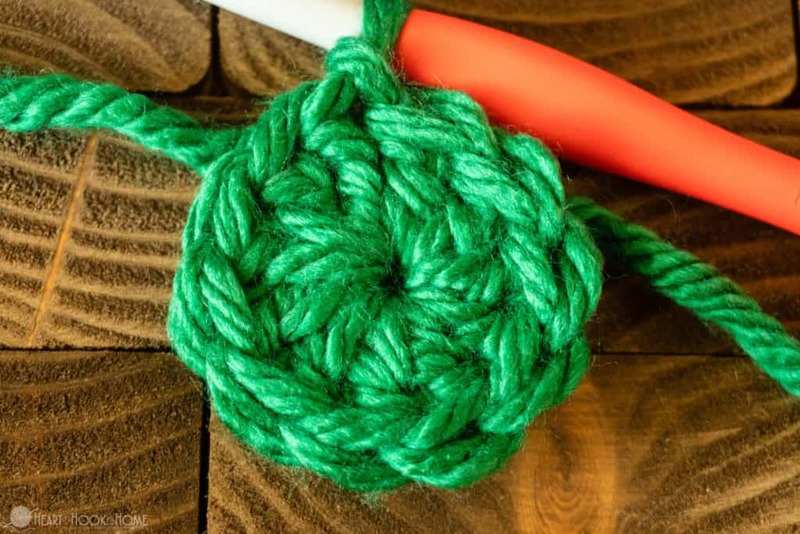 Use the Standing Double Crochet to start ornament “topper”. A tutorial for this stitch is forthcoming! Round 1: Magic Circle. Ch-2, 10dc in circle. (10) Pull circle closed. Round 3: Ch-1, crab stitch in 18 sts only, leaving two unworked as shown. Fasten off using a version of the Invisible Join. Weave in ALL ends. 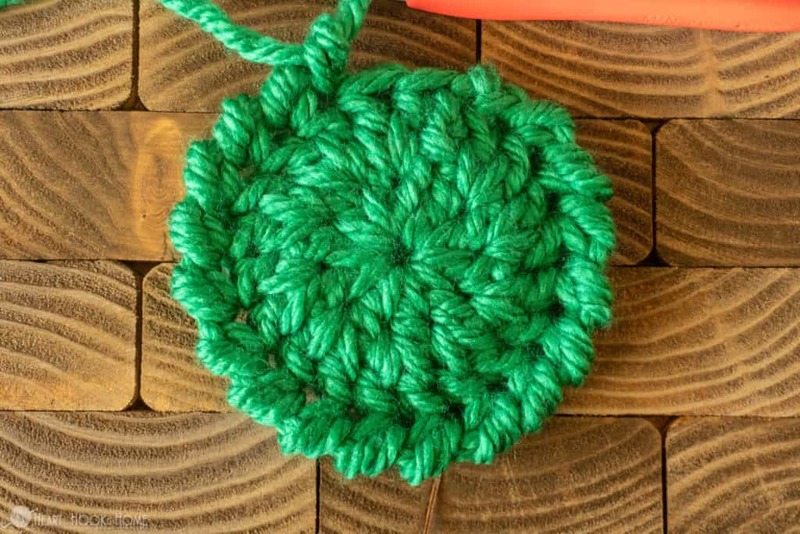 Using Standing Double Crochet (or attach with sl st, ch-2) dc in first open space. Dc again in same space. 2dc in next st, 2dc in next st. Fasten off and weave in ends. Isn’t that the easiest, most fun little coaster pattern you ever did see? 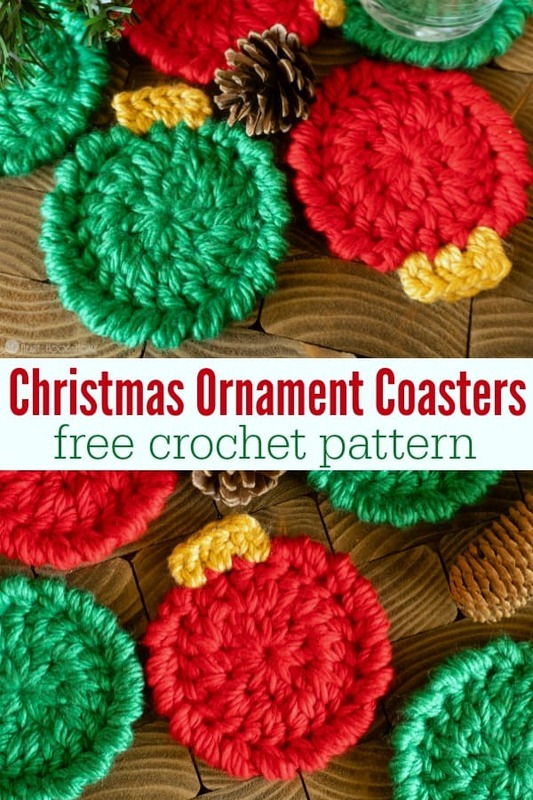 I hope you love this pattern, and you could even make them as regular coasters if you’re not big into holiday decorating. To do this, simply complete the crab stitch row all the way around and omit the ornament “topper”. Too easy! 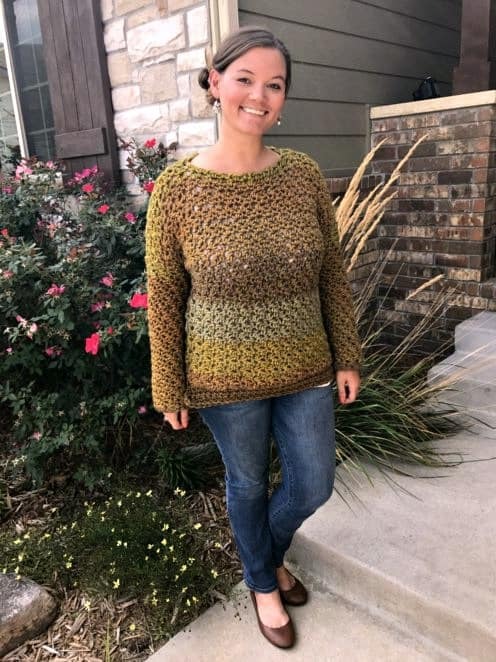 I hope you love this pattern, and there are more where this came from! Hi! 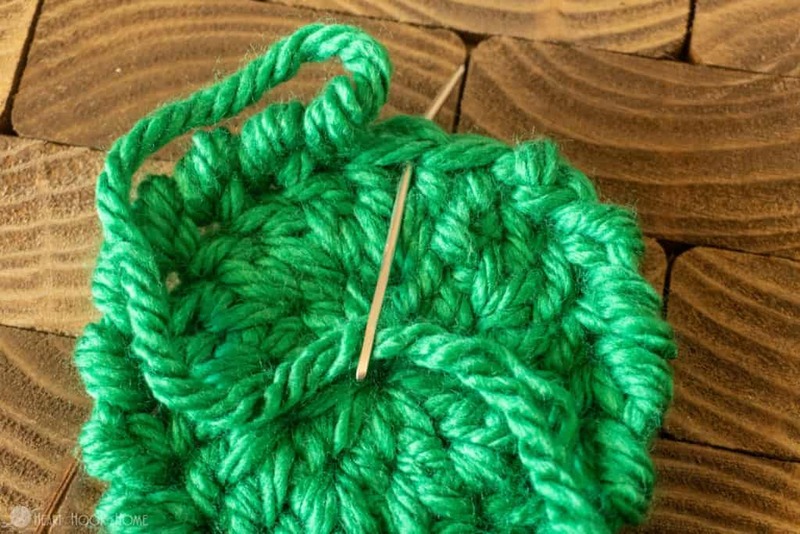 I have never crocheted with bulky yarn before. Would you please let me know what brand you used for these coasters? Thank you!!! Hi Cheryl! I used Lion Brand Hometown USA.